The main reason I preferred Pebble over any other smartwatch ever made was because I didn’t had to charge the device every day. I love the utility a smartwatch brings, but hate the fact that I have to charge it every night just like my smartphone. For that reason alone, I have never been able to enjoy smartwatches. But Matrix’s new watch does things quite differently and it might just win me over. Matrix Technologies have just announced a smartwatch that users don’t need to charge, ever. Dubbed the PowerWatch X, the smartwatch uses a user’s body heat to charge the device, which was showcased the device at CES. Matrix first introduced its PowerWatch smartwatch at Indiegogo in November 2016. The PowerWatch was so popular that Matrix ended up raising more than 10 times the goal it set for itself. Now, the company has come with its new model, the PowerWatch X which is stronger, more durable, and jam-packed with features. 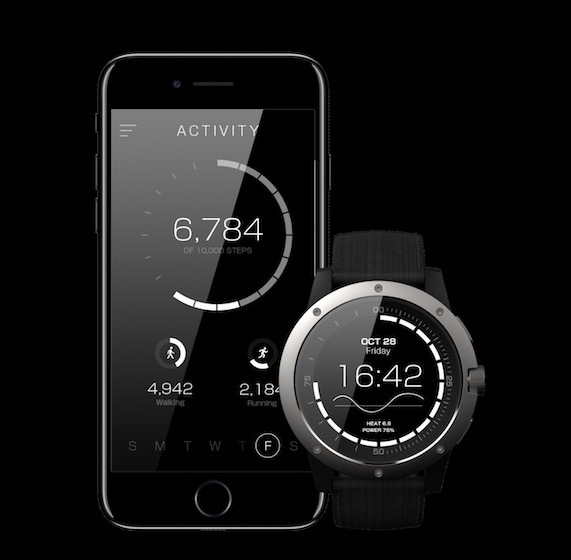 Apart from serving all the usual functions like providing notifications and showing date and time, the watch can deliver a precise measurement of calories burned, feature advanced activity, and sleep. But the biggest feature of PowerWatch X is that the device can charge itself by using body’s heat. It does that by using groundbreaking thermoelectric technology which utilizes the heat generated from your body to charge the device thereby eliminating the need for daily charging. The watch even tells a user how much power he/she is able to supply to the watch, which is a cool statistic to check. That said, the PowerWatch X is still in development and the prototype devices that the company showcased at CES was not functioning properly. The PowerWatch X is available for pre-order at $249.99 and is expected to ship sometime in Q1 2018.